Forum » General Discussion » Offroad Passport News & Info » August is Offroad Passport Member Appreciation Month! Win prizes!!! August is Offroad Passport Member Appreciation Month! Win prizes!!! Offroad Passport Member Appreciation Month! Upgrade to Premium Club or renew your existing Premium Club Membership anytime in August, 2017 to be entered to win! Drawings will be held at the 8th Annual Cinders Event Sept. 15 - 17, 2017. You DO NOT need to be there to win. Check out this year's awesome prizes! "Great! I already upgraded this year! How do I get in on this?!?" Hey, we hear you! If you've already upgraded to Premium Club during 2017, you can re-upgrade during August and we'll refund 50% of your previous upgrade. It's easy! Just purchase a new upgrade before August 31st and email a refund request to info@offroadpassport.com. Be sure to include your forum username and Paypal email address (or mailing address if you'd like a refund check). • Choose Premium Club Membership options (1-year or save 10% with Yearly Auto-Renew), and click the "Order" button. • You'll be taken to PayPal, but you do NOT need to have a PayPal account to complete the purchase. 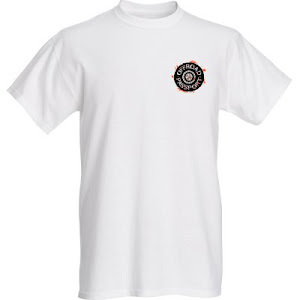 From there you can pay with Credit Card OR a PayPal account. 1st Year Premium Club Membership includes 2 Offroad Passport round decals which you will receive in the mail! STAY TUNED! 2018 trips and events will be announced in the coming weeks! Get a FREE DECAL during August (a $3 value)! Just ask us in person at an event, or mail a self-addressed stamped envelope (at least 4.75") to the address above. 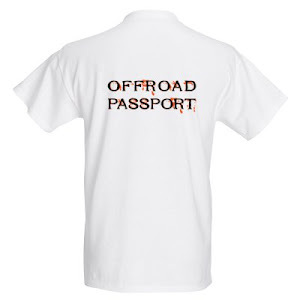 We’ll mail you 1 Offroad Passport round decal, free! Throw in a buck and we’ll send you 2 decals (a $5 value)! Limit one request per household please. Last edited by dzJeepChic; 07-27-2017 at 06:05 PM. Re: August is Offroad Passport Member Appreciation Month! Win prizes!!! Last edited by dzJeepChic; 08-29-2017 at 12:35 PM. There's still a week + to get in on this drawing! Only a couple days left to get in on this year's Member Appreciation Month Drawings! Still great odds for winning excellent prizes. If you're even remotely considering joining the Premium Club for the 2017 remaining and 2018 trips we have going, go ahead and do it now! You could be the big winner!